The National Highway Traffic Safety Administration announced on Sunday that it would close an investigation into certain model year 2000-2003 Ford Taurus and Mercury Sable vehicles after Ford agreed to fix the affected vehicles. 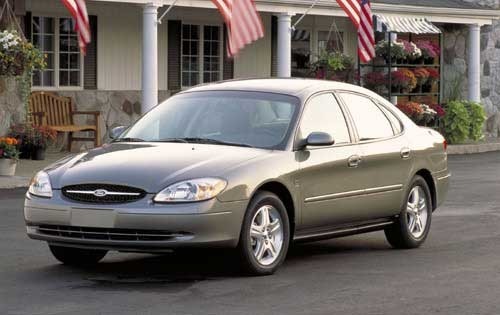 After an eight-month investigation, The National Highway Traffic Safety Administration has decided not to request a recall of 467,000 model year 2000-2003 Ford Taurus and Mercury Sable cars equipped with Duratec engines. The government agency arrived its decision after Ford announced that it would institute a customer satisfaction program to tackle complaints of defective engine cables. According to documents filed with the NHTSA, certain models suffer engine cable damage during routine under hood maintenance – including replacing an air filter or battery. A defective cable may hinder the vehicle’s full throttle return to idle when the driver presses the accelerator pedal. Ford will begin notifying customers of the recall this month. The Dearborn-based automaker will inspect the cables and replace any part of either collar retention tab that is missing. Repairs should take about an hour, said Ford. Ford will reimburse customers for any out-of-pocket expenses related to the issue. Ford’s customer satisfaction program is currently underway and will continue through Aug. 31, 2014. There haven’t been any injuries reported in regard to the braking problem, but there have been 100 complaints and five crashes, according to the NHTSA. Some owners reported that braking didn’t slow the vehicle down enough, while others said they experienced difficulty braking – which forced them to slow the vehicle by shifting into neutral or turning the car off. Four out of five crash victims reported that increased stopping distance – created by reduced brake effectiveness – was the culprit. One particular accident was caused when the driver turning the engine off to stop the vehicle. That particular accident resulted in the driver striking a roadside fence, but did not cause any injuries. The NHTSA announcement comes just days after Ford said it would recall roughly 13,100 model year 2013 Ford Taurus, Explorer and Lincoln MKS vehicles due to a door latch problem that may cause child safety locks to fail. The recall affects Ford cars and SUVs sold in the United States, Canada and Mexico – manufactured between Nov. 29 and Dec. 12, 2012. The issue has not contributed to any accidents or injuries, according to Ford. Click HERE to read Torque News’ coverage of Ford’s child safety lock recall. In February, the federal government announced that it would investigate 724,000 Ford and Mercury vehicles over reports of sudden engine power loss. The probe, which is still ongoing, concerns model year 2009-2011 Ford Escape and Fusion vehicles, and Mercury Milan sedans and Mariner SUVs. Click HERE to read Torque News’ reporting on the investigation, and stay tuned for more news about a possible recall.